A state’s False Claims (“Whistleblower “) Act is not the correct forum for administering state tax laws. Taxation is a form of taking by the government, and the interpretation of complex tax provisions should be left to the government agency charged with administering the tax laws. Allowing a private party to bring legal action to assert a tax liability that may be contrary to the government agency’s own interpretation of the law places a dark cloud over the state’s tax administration environment. In taxation, mistakes are made, and taxpayers that identify errors are encouraged to come forward. Reasonable penalties and interest costs are imposed to encourage compliance and the admission of mistakes, and can even be reduced in some instances where the taxpayer’s mistake was not willful. False Claims Act penalties do not take into consideration the nuances and complexity of Illinois’ tax code, and severely punish even honest mistakes. Many states and the federal government have adopted provisions that encourage private parties that are aware of improper application of the law to report that information to the tax administration agency. The agency then has the responsibility to investigate the matter and if appropriate assert the liability against the errant taxpayer. Many of these provisions provide for a benefit to the person(s) that identified the issue. In almost all cases, these provisions leave the sole responsibility for enforcement of tax laws to the state agency charged with their administration. 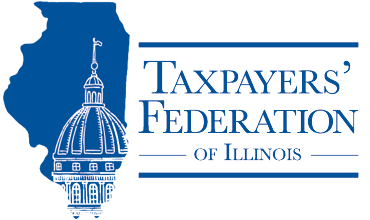 The Taxpayers’ Federation of Illinois strongly supports legislation that implements this structure in Illinois. Illinois’ False Claims Act should be amended so that the power to assert tax liability is limited to the state agency charged with its administration—the Department of Revenue. Similarly, the Consumer Fraud and Deceptive Business Practices Act is a necessary and important part of Illinois’ statutes, but it should be limited in a way that tax matters can only be the subject of such suits in rare occasions, when the agency charged with administering the tax at issue agrees that there has been a clear and intentionally fraudulent or deceptive business practice (and not, for example, merely when a customer or competitor disagrees with the taxpayer’s interpretation of the tax laws).